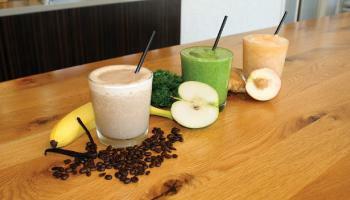 Visit the Service Desk to redeem points and receive a voucher for your complimentary Cedars Smoothie. At Cedars Woodfire Grill everything is made fresh daily—there are no freezers, fryers or microwaves. The Cedars “unprocessed process” means using only the freshest produce and herbs, as well as all-natural meats that are simply prepared and cooked over a wood-fired grill. Choose from our menu of gluten-free choices and grab-n-go breakfast options and your favorite wraps, salads, smoothies and more. Whether dining with us for breakfast, lunch or dinner, you'll enjoy food that tastes good and is good for you at Cedars Woodfire Grill at Cooper Aerobics! 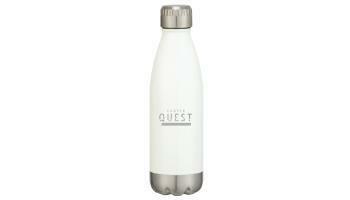 Visit The Coop to redeem points and receive the Cooper Quest water bottle. Cooper Quest member wellness program takes the activation of your fitness goals to the next level. Redeem your points for a Cooper Quest branded Swig Bottle. Visit the Service Desk to redeem points and receive a voucher for 50% off the first week of a meal plan subscription. 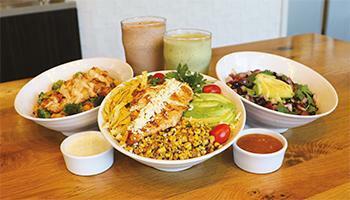 To begin the subscription, present voucher at the Preston/Forest or Lake Highlands location to receive discount. The subscription can be cancelled at any time and the one week plan offers 10 meals. 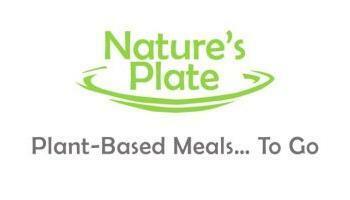 Nature’s Plate makes plant-based, whole food accessible and convenient—and tasty and satisfying! Redeem Cooperized Kidz voucher at the Service Desk or Cooperized Kidz Desk to schedule stay based on availability. Children ages 2 months to 12 years can “Play with a Purpose” for up to three hours a day while mom and dad exercise or enjoy a service at Cooper Spa. Call 972.239.6171 to make a reservation. 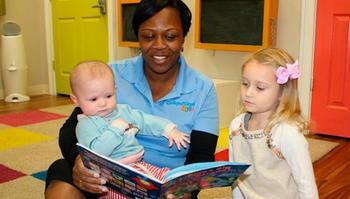 *Please provide 24 hours advance notice for infants (under 12 months). 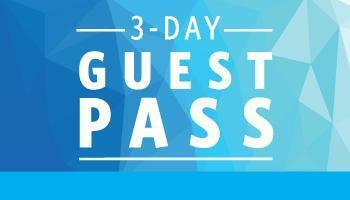 Visit the Service Desk to redeem points and receive a 3-day guest pass. Pass must be used within 90 days of receipt. 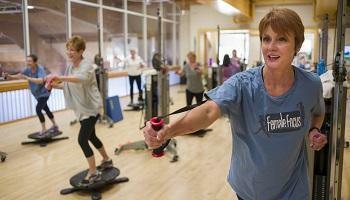 Share your Cooper Fitness Center experience with a friend or family member with a 3-day guest pass. 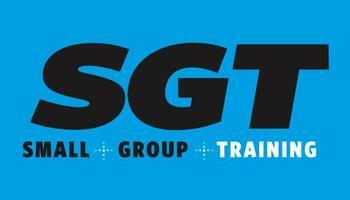 Redeem SGT class credit at the Service Desk and schedule class based on availability. Welcome to our fitness playground—Small Group Training (SGT) on the new Precor® Queenax™. It’s full-body training unlike any other—led by a Professional Fitness Trainer—with an emphasis on improving your functional movement. Visit the Service Desk to redeem points and receive a voucher for a complimentary entree and drink at Cedars Woodfire Grill. 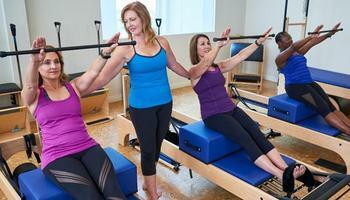 Redeem Pilates class credit at the Service Desk and schedule class based on availability. Redeem Female Focus Class voucher at the fitness center Service Desk or Membership Office. Call Colette Cole at 972.233.1782 to book a one-hour class based on availability. *First time participants only. 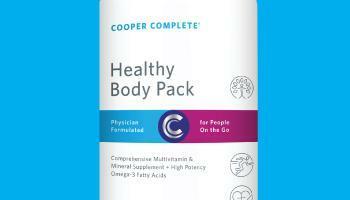 Visit The Coop to redeem points and receive a Cooper Complete Healthy Body Pack. Our one-tablet-a-day multivitamin (Basic One Iron Free) and Advanced Omega-3 fatty acids are packaged into a new and improved, easy-to-open, non-stick clear foil packet terrific for use when traveling, dining out, or generally on-the-go. 30 individually-wrapped clear foil packets per canister. 30-day supply. 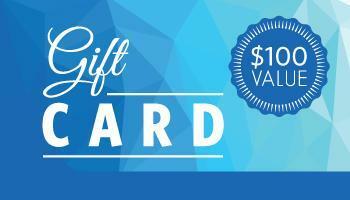 Visit the Membership Office to redeem points and receive $100 gift card to Cooper Fitness Center. Cooper Fitness Center gift card cannot be used towards membership fees, dues, spa services and products. Redeem Cooper Spa Massage voucher at the fitness center Service Desk or Membership Office. Present voucher to Cooper Spa Desk to schedule a 50-minute Deep Tissue or Swedish Massage based on availability. Cooper Spa's 50-Minute Deep Tissue Massage - Using stronger pressure focused on trigger points in the muscle tissue, this technique is ideal for the active person or those needing relief from extended soreness or tightness. Cooper Spa's 50-Minute Swedish Massage - Addressing tension in the muscles and soft tissue, this traditional technique is ideal for every person.